Place beans, hot water, carrot, celery, and garlic in a soup pot. Bring to boil, reduce heat, cover and simmer for about one hour or until beans are done. Remove carrot, celery & garlic. Add salt & pepper. To thicken soup, remove 1/3 cup of the liquid from the soup into a cup. Whisk in 2 teaspoons of flour until smooth. Stir back into the soup and cook another 2-3 minutes. 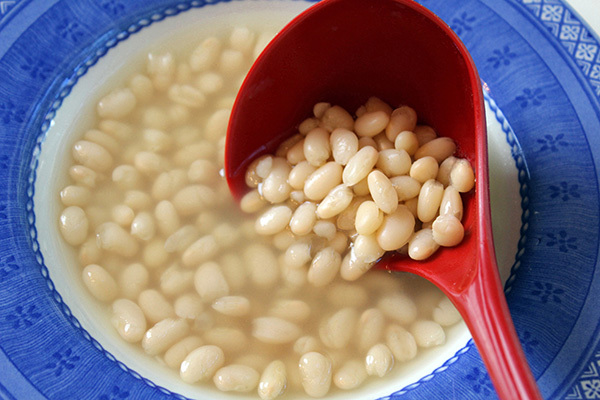 9 Comments on "Simple Bean Soup"
Jenny, I just have to know why you remove the vegetables you cooked in the soup? Are they too mushy by now? First, I would like to thank you for your simple navy bean Recipe. Second, it is not necessary to soak the bean? Third, how do i preserved this recipe in a jar or can? After the beans are cooked you turn them up to a boil . this will make their juice thicken. just be sure to make sure to pay close attention.. does make these wonderful beans even better. Ive been a bean eater for mostof my life. This simple recipe sounds great, as do all your recipes. Beans are so inexpensive, filling, easy to store in the pantry, and versatile. I like the way that even a small bowl makes me feel satisfied. Good for you for all the right reasons, too. The celery and carrot are a quick way to flavor this soup. Chopping vegs takes time that I don’t always have a lot of and I like the hot water tip. Recommend your Fast, No-knead Bread again to sop up the bean liquid, too. I really appreciate your quick meals as I imagine they give you more time to make more quick recipes available for your legion of fans. Count me in! Hi Jenny,Just made your recipe and it was really delicious.When I fished out the carrot ,celery and garlic clove I spinkled it with salt and pepper and ate that too! 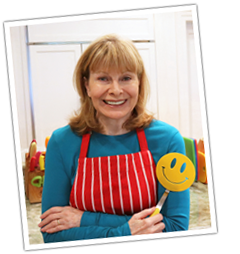 Thanks for all your great recipes.I check out your website every day. Bought some black-eyed peas and some split peas this week to make some in the slow cooker. Wonder if adding some turkey bacon…in addition to this recipe? Tomorrow…will be getting some pinto beans as well. I don’t use bacon so I can’t say from experience how it would work in the soup. This sounds wonderful, especially with some crusty garlic bread! Thanks for the recipe. This sounds good and easy..and wish I had some now!